Studying Scripture is not just for pastors and teachers. 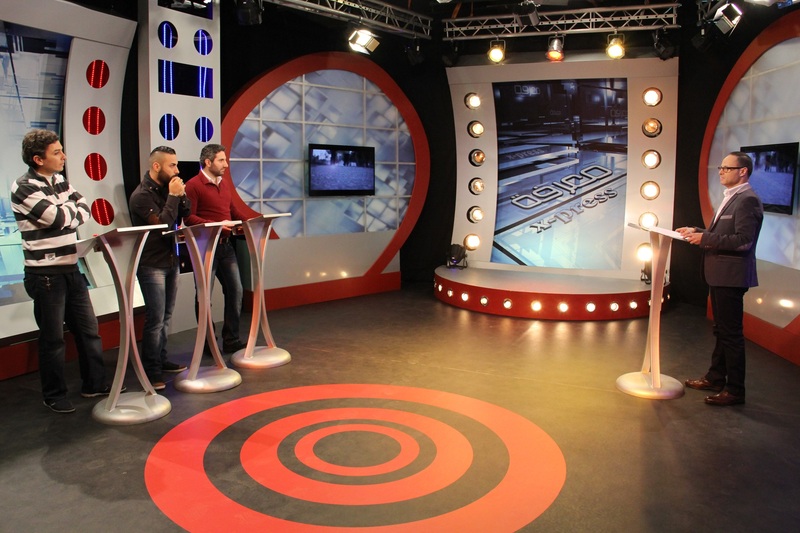 Truth X-Press, a game show on SAT-7 ARABIC, is motivating young adults in their twenties to get into God’s Word. As the title suggests,Truth X-Press (in Arabic, Maarifa X-Press) is a fast-paced Bible quiz competition. Contestants come from a variety of countries and careers. A photographer, a pharmacist, and a graphic designer are just a few of the contestants who have visited the SAT-7 studio in Lebanon to compete. This reminds viewers that a person does not have to work in ministry in order to know the Bible. 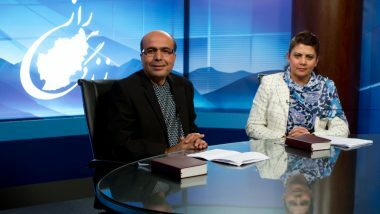 Each half-hour programme begins with a report presenting a section of Scripture. A dose of healthy competition has contestants hovering over their buzzers. Each hopes to be the first to buzz in with the right answer when host Dany Boustany asks a Bible question related to the report. Only one contestant wins the competition. The theme of the first season covered how to read and understand the Bible. The second season focused on Bible education. Since the first two seasons were so successful, a third season aired with the theme of spiritual discipline. Seasons four and five will air next autumn, with the fifth and final season covering the Holy Spirit and Christian Living. Truth X-Press is a part of The TEACH Project, Theological Education for Arab Christians at Home. The game show also encourages viewers to visit www.sat7.com/bounian, a written component of The TEACH Project offering free online courses. Truth X-Press and other programs in The TEACH Project aim to bring viewers to a deeper knowledge of Scripture and a more mature relationship with Christ. Bounian (meaning “Building”) is a web portal offering free online seminary courses to Arabic speakers. 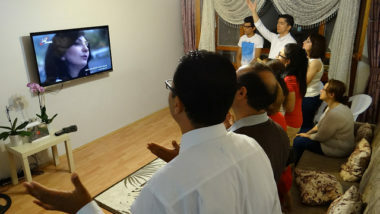 SAT-7 promotes bounian.com on-air, encouraging viewers to take a step beyond the biblical teaching programmes they watch on television and participate in an online learning experience. Specifically aimed at believers in North Africa, where Christian resources are most limited, the goal of Bounian is to provide culturally relevant spiritual training and guidance for new Christian leaders in the Arabic-speaking world. Bounian.com currently offers a selection of 6 courses but work is proceeding towards a total of 32 courses. Visitors have the option of participating anonymously or auditing courses using a pseudonym, from the privacy of their homes. Additionally, the site will link to SAT-7 Bible teaching videos and links to Middle East Association of Theological Education (MEATE) school programmes. Please consider making a gift towards SAT-7 Bible and theological teaching programmes. Just £12 will enable 12 leaders to watch programmes including those in the TEACH curriculum for a whole year.